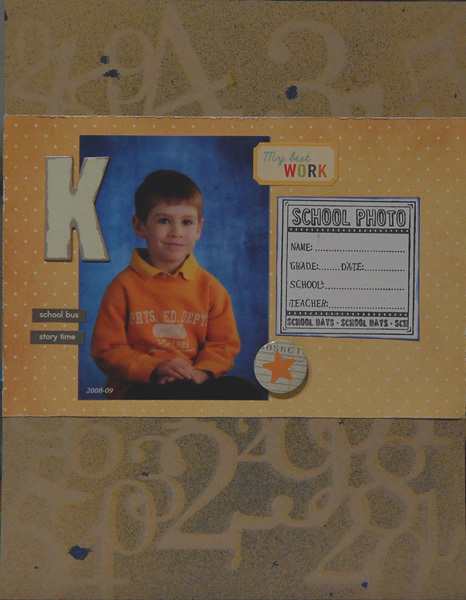 Saturdays are busy around here, so I did a simple school photo page. 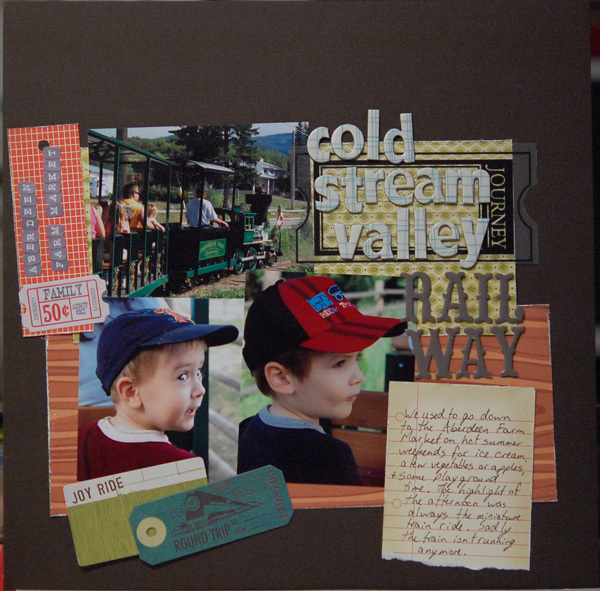 I signed up for May Flaum’s class at Big Picture Classes which inspired me to add some mist to jazz up a pretty basic page. Then Sunday inspiration struck as I walked the dog. I let my mind wander as I walked and found myself realizing how I’ve had a sense of scarcity in my life lately. Denying myself things unnecessarily, saying I can’t to things I’d like to do, seeing limits where there aren’t any. 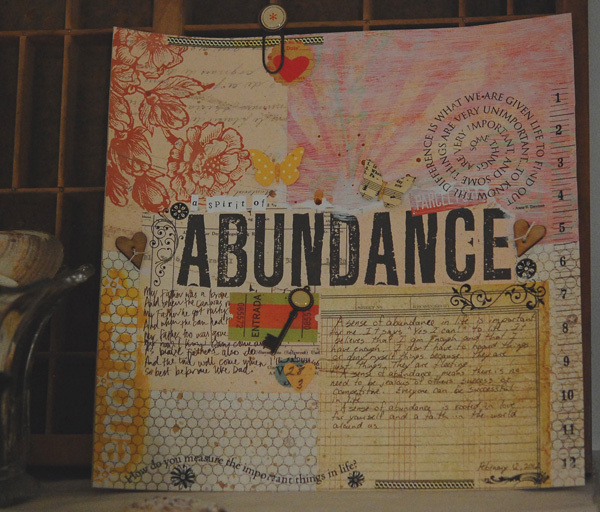 When I looked through my stash a little later, one of the first papers I found was a 7 Gypsies paper featuring the word ABUNDANCE. A collage was born. Used a lot of old Daisy D’s rub on’s, played with some Distress stain and mist, added some bits and pieces. Love this page, felt like a break-though. Then, LOAD progress stalled a bit. I decided to apply for the Simple Stories DT call and also decided that I shouldn’t post those layouts. So I kept scrapping, but didn’t share. And that’s when a cold got me and self-doubt crept in. The cold is mainly keeping me from getting enough sleep which really saps my creativity. And how could I possibly apply for a DT without the gremlins coming out to play mind games with me. Sigh. 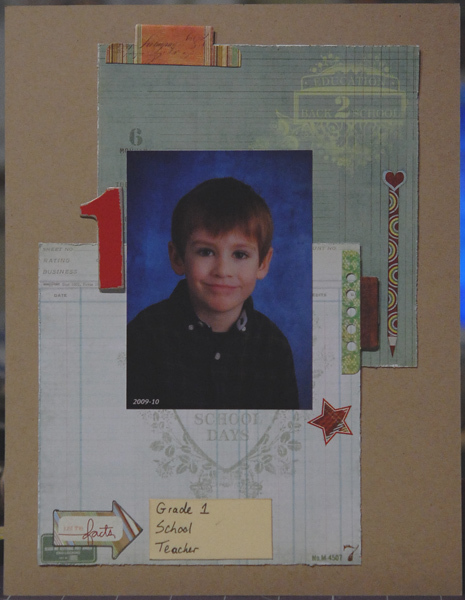 So I fought back Wednesday with another basic school photo page. Thursday the cold got the better of me. It didn’t let me sleep the night before and I had lots to do to get ready for guests. I took some Nyquil and went to bed early. Friday I found these photos from five years ago. I drive by this place almost every day and I still miss that little train.